While many mattress companies balance beds based on an average body weight, many manufacturers are getting the message that plus-size people love balance, too. Titan is Brooklyn Bedding’s answer to the demand for more size-friendly mattress constructions. This company prides itself on its American-made products that ship directly to customers nationwide from their factory in Arizona. By minimizing overhead, the brands can price their products competitively by going online. In our in-depth overview of the Titan bed, we will see how the bed is built and what it can offer to the plus-size market, as well as key preferences such as motion isolation, edge support, and cooling. If you want specifics, we have them for you, but if you’d rather just grab a quick summary, it’s waiting for you at the bottom of the page. Get One Today: Use Our Code “sleepadvisor20” and Get 20% OFF. Are a plus-sized person – This brand was manufactured specifically for individuals with bigger figures, so if that’s you, you can rest comfortably in this brand’s specially designed balance of enhanced support and pressure-relieving support without worrying about it excess wear. Want a hybrid – Blended choices can deliver all sorts of advantages from different types of bedding materials, such as the body conformance you get with foam paired with the reinforced support and bounce of coils. Sleep hot – Air flowing through the coils of Titan should keep the bed temperature neutral as the gel in the comfort foams carries heat away from the surface where your body rests for a cooler and more restful sleep. Are a slimmer side sleeper – This brand was designed to provide a Firm feel and enhanced support that provides a fantastic balance for larger individuals. Average sized individuals should sleep comfortably, but folks who are lighter weight and sleep exclusively on their side may prefer a bed with additional pressure relief. Titan comes compressed into a box which is easy to navigate through your house, though keep in mind the reinforced coils are heavy and you may need some help carrying and installing the product. You are free to use it on any sturdy foundation or frame that you like, even an adjustable base. The cover is made out of a durable blended polyester stretch fabric on the top and attractive dark gray panels on the side. For an extra charge, the company can provide a phase-change cover that works to keep the surface of the bed temperature neutral. This cover is quilted to a 1-inch layer of gel-memory foam to mold to your body’s shape while wicking away heat. The entire mattress is 11 inches tall and contains three layers. The first layer is the company’s proprietary TitanFlex™ that provides 2 inches of pressure relief that is targeted at the points that tend to bear your weight when you are lying in bed. This performance foam also responsive, so repositioning should be simple. The second layer starts the industrial-strength support system with the company’s TitanCaliber™ coils that are individually pocketed to reduce motion transfer. These extra-strong coils were designed to maximize spine alignment for heavier folks. The final layer is 2 inches of high-density base foam that cushions the coils and provides the product with a sturdy and durable foundation. With beds like this, it’s important to remind you that firmness is highly subjective and a lot of how a bed feels will depend on your body shape and weight. This mattress was designed to feel Medium-Firm for sleepers that weigh 250 pounds and over, and these individuals should experience a bed that is about a 6.5 to 7 on our scale from 1, the softest, to 10, the firmest. Folks who are more average-sized are likely to experience this brand as much firmer. Heavier sleepers are likely to experience a nice balance between pressure point relief and a strong support system as they lie down into the foams. The surface layers should conform to your curves as the coils beneath deliver accommodative support to your heaviest parts. The overall experience for larger individuals should be a deeper cradle. Because the TitanFlex™ reacts to changes in pressure so quickly and the coils beneath provide a substantial bounce to the overall bed, repositioning should not be a problem, and the Medium-Firm feel should nicely adapt to whatever positions combination sleepers tend to rotate between. Back sleepers should feel foam conforming to their lower back as the bed supports their hips and keeps them comfortably level. Side sleepers who are heavier should appreciate the balance of comfort and support as the foams and individually wrapped coils conform to their shape and relieve the pressure that can be present in both their hips and shoulders in this position. Stomach sleepers, even folks on the heavier side, should enjoy the spine alignment that a firmer mattress could help them achieve in this position. As this is a brand designed for larger people, the manufacturer’s recommended weight limit is a bit higher at 900 pounds. Hybrids tend to fall in the middle of the spectrum in terms of how much vibrations can carry from one side of the bed to another. The 3 inches of foam and individually pocketed coils of Titan do a good job of isolating most movement, which should be enough to keep most sleepers resting peacefully regardless of movements in other parts of the bed, especially compared to traditional innerspring models. Overall, support is above average in this mattress from side to side. The coils provide edge-to-edge support which should accommodate most individuals when lying on the side or taking a seat on the edge. This could potentially be an important decision-making factor if you and your partner like to spread out and take advantage of the mattresses’ entire surface. 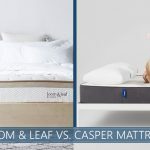 Cooling Cover – For an additional fee, the company will add a phase-change cooling cover to this mattress that is similar to that found on their luxury Aurora mattress. Trial Period – Once the bed is delivered, you have 120 days to decide if this is the right kind of mattress for you, and if you do not think that it is, the company will refund your money and pick it up. Warranty – The warranty on this product is good for 10 years. Shipping – Customers within the 48 contiguous states receive free shipping, though for an additional fee, the mattress also ships to Canada, Alaska, and Hawaii. 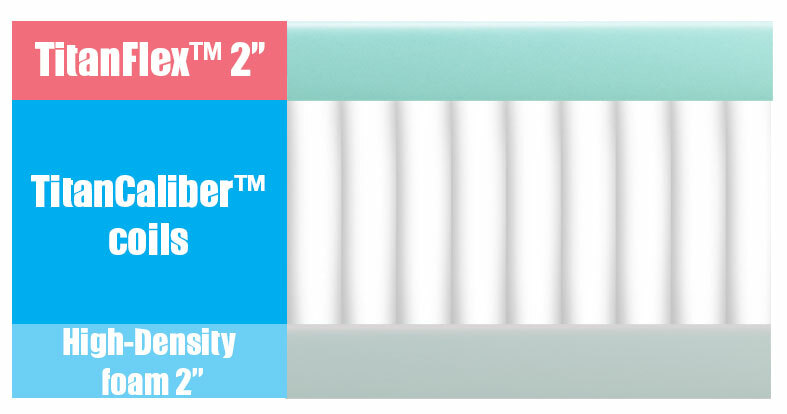 CertiPUR-US® Certified – A third-party organization has tested the foams in this bed and found that they meet consumer safety standards, which evaluate materials like lead and VOC emissions. Those with plus-size figures do not need to compromise on comfort in order to receive the support they need. With Titan, Brooklyn Bedding has hit the market with a hybrid nicely balanced with the concerns and needs of heavier sleepers in mind. Plus-size folks deserve a comfortable sleep, too, and mattress companies are getting the message. Titan by Brooklyn Bedding is very nicely balanced for larger individuals and offers a lot of the great pressure relief, performance foam, and cooling features as the company’s other models. 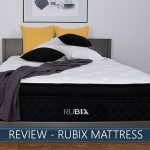 If you have higher weight considerations and are worried about wearing out your mattress prematurely, you will be pleased to know that this brand kept your specific concerns in mind when designing and have promised it will keep you sleeping level and comfortable for years to come.